When it was first introduced, everyone said gin-soaked raisin was a fad "cure" for arthritis. After 20 years of use, it is still a popular remedy. Are gin-soaked raisins any good? Gin is flavored with juniper berries. 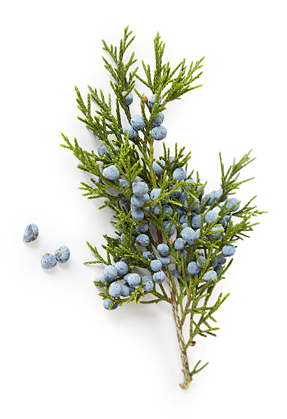 Juniper berry is not a true berry but a fleshy seed cone which appears like berry. Juniper berries can be used fresh or dried as a spice for meat dishes. Juniper berries have been used as medicinal remedies for a long time. It was first used by the Greeks and then later the Egyptians and Romans. In fact, the use of berries as medicine is believed to predate their use in food preparation. Some of the notable medical uses of juniper berries in alternative medicine include its use as a diuretic and appetite suppressant. It is also used in the treatment of arthritis and rheumatism. Gin is liquor with high alcohol content. Therefore, the correct term for it is a spirit. However, gin started out as a herbal medicine before it was adopted as an alcoholic drink by the manufacturers of spirits. Even today, while there many varieties of gin, juniper still remains a common ingredient amongst all of them. Since gin contains alcohol, it is an effective solvent in traditional medicine. Gin is often used to extract the active ingredients of barks, leaves, roots and other plant plants used as herbs. 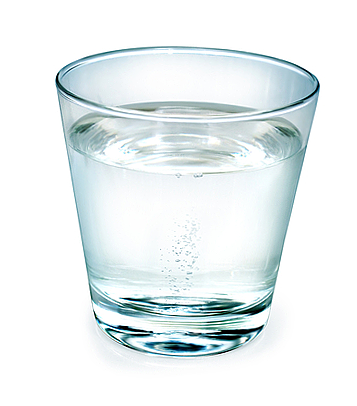 Besides water, alcohol is the other popular solvent for obtaining and dissolving herbal extracts. Gin makes an especially good candidate as an alcohol for herbal extraction because it also contains juniper berries which possess some medicinal properties of its own. Grapes are true berries. They can be eaten raw or used to produce a number of foods and drinks including jam, jelly, wine, juice, vinegar, and raisins. Any dried grape is called raisin. However, some dried grape cultivars are given special names. A dried Zante Black Corinth grape is called currant and dried Sultana grapes from Turkey are called sultana. Similarly, white raisin refers to any dried grape that has a white color. White raisin is also called Muscat or golden raisin. 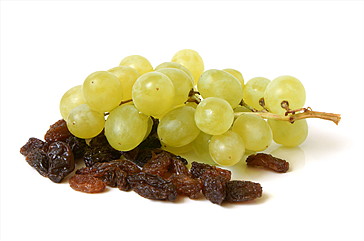 Raisins are usually sun-dried grapes but the drying process of white or golden raisins occurs in the oven. 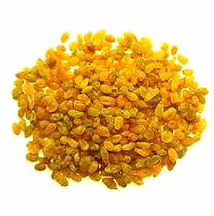 Sultana raisins are also similarly prepared and often also called golden raisin. These raisins are first treated with sulfur dioxide then dried with a flame to give them a golden color. However, sultanas are sweeter than white raisins. Raisins can be eaten raw or used in brewing, baking, and cooking. They contain around 70% sugar mostly in form of glucose and fructose. However, the sugars in raisins are supersaturated much like honey. Therefore, they actually have antibacterial activities and have been used to fight oral infections. Like fresh grapes, raisins are also rich in antioxidants even though they contain lesser amounts of vitamin C.
Raisins also have lower levels of sodium and do not contain cholesterol. The first mention of the use of gin-soaked raisin in the treatment of arthritis is credited to the advice of the late radio icon, Paul Harvey, in the 1900s. Since then this strange remedy has gained popularity and garnered some positive testimonials. Over the years since it was first mentioned, the recipe for gin-soaked raisin has been used and modified endlessly. However, the same basic steps needed to prepare this remedy are used in all variations of the recipe. To prepare gin-soaked raisin, first, empty one box of dried white raisin in a shallow container. Only white or golden raisin should be used for this recipe. Then pour enough gin into the container to cover the raisin. Cover the container and keep it covered for 7 – 10 days to allow the raisin to steep in the gin. Allow all the gin to evaporate to leave gin-soaked raisins in the container. These raisins keep well when refrigerated. The popular advice is to take nine of these “drunken raisins” every day. Most users report improvements in arthritis symptoms between 1 – 8 weeks of using this remedy. Gin-soaked raisins are safe to use and no side effects are expected as long as the number of raisins taken does not exceed 10 per day. There are different possible ways by which gin-soaked raisins may work for arthritis. Its effectiveness could be due to the juniper berries used to flavor gin, it could be the gin itself and it is could be the raisins but it is most likely a combination of small effects from these three constituents of the remedy. Before we explore possible reasons why gin-soaked raisins may be effective for reducing arthritic pain and inflammation, it is worth noting that no double-blind, placebo-controlled studies have been done to prove its efficacy. Therefore, there is no scientific evidence that the remedy works. However, this does not mean gin-soaked raisins are not effective in the treatment of arthritis. There have been studies showing that alcohol can indirectly provide temporary relief for chronic pain. Since gin has a high alcohol content (about 68% for juniper-flavored gin spirits), the effect caused by gin-soaked raisins may be considerable; however, the raisins are only eaten after most of the gin has evaporated. The use of alcohol to combat chronic pain is an imperfect solution. Still, it works in a pinch because alcohol depresses the central nervous system and dampens the transmission of pain sensations. Even if it contributes to the ability of gin-soaked raisins to relieve arthritic pain, the effect of alcohol can only be minimal and effective for a short while before the body develops tolerance to it. Juniper berries gave gin its distinctive flavor. Juniper is an old world remedy for rheumatism and arthritis. It contains essential oils, terpenes, and vitamin C.
The medicinal benefits of juniper berries have been described and proven. It was widely used to protect against The Plague during the Middle Ages. Juniper berries are also rich in antioxidants. Some of these antioxidants are pinene, catechin, epicatechin, and caryophyllene. The exact mechanisms by which juniper produces its anti-inflammatory effects are still unknown but given its contents, it is possible that the essential oils are involved in this process. Still, the amounts of the active ingredients of juniper berries that still remain in gin-soaked raisins are mostly like too low. Since it is used to flavor gin which is then evaporated, the medicinal compounds in juniper are most likely very small and residual in the soaked raisins. Golden raisins can also provide anti-arthritic benefits. The first possible benefit stems from the agent used for preparing golden raisins. Sulfur dioxide is sprayed on fresh berries before they are oven-dried or flame-dried. Contrary to popular belief, sulfur dioxide does not bleach the grapes golden but rather, it slows down the enzyme-driven browning of the berries. This gives the dried grapes a golden color. Residual sulfur dioxide (or sulfides) on the grapes can be responsible for some of the anti-inflammatory effects of gin-soaked raisins. The raisins used in this remedy are a nutritional powerhouse. Raisins are packed full of antioxidants such as resveratrol and vitamin C. They are also rich in potassium and calcium, two minerals that can protect the bone against demineralization. By soaking raisins in alcohol, these active ingredients are extensively extracted from the skins and pulps of raisin. Therefore, the active ingredients can be quickly absorbed when the soaked raisins are ingested. It may also be that the effectiveness of gin-soaked raisins in the treatment of arthritis is due to some placebo effect. It is possible that as more people spread good words about this remedy, some arthritis patients believe this “cure” so much that they actually experience relief from symptoms even when the remedy does not work. The placebo effect can be especially strong where the pain is concerned. Studies have shown that when people feel strongly about a medication, the body often releases endorphins which are natural painkillers. Therefore, it is possible that a placebo effect can reduce the pain felt by arthritis patients with these endogenous analgesics. Concerning, the perceived anti-inflammatory effect of gin-soaked raisins, critics have attributed it to the cycle of remission and flares experienced by most arthritis patients. Therefore, it is possible that most of these patients who take the soaked remedies equate relief with remission.